One of the best PC games, and the latest in the Assassin’s Creed franchise, Assassin’s Creed Odyssey is an epic tale set in Ancient Greece which takes you on a journey from being an outcast to a living legend. Fans of the Assassin’s Creed franchise need no introduction to the title, but if you haven’t played an Assassin’s Creed game before, then Assassin’s Creed Odyssey is a great game to begin with. I’m a big fan of the way Assassin’s Creed games intertwine the storyline with actual events in history and Odyssey is no different in this aspect. The Tomb Raider franchise is also quite highly regarded among gamers and the latest addition in the lineup – Shadow of the Tomb Raider – lives up to our expectations. The game continues the narrative from the previous title – Rise of the Tom Raider – and takes you, as Lara Croft, on an adventure to stop the activities of the paramilitary organization Trinity. The game has some pretty amazing locations, a few intense gunfights (unless you wish to take the all stealth route) and a great storyline which will keep you entertained. Shadow of the Tomb Raider is definitely worth a try even if you’re not a huge fan of the Tomb Raider franchise. If you’ve played any Far Cry game before, then you should definitely consider playing Far Cry 5 – another great action-adventure game in which you head to the fictional town of Hope County, Montana and go up against a fanatical doomsday cult which calls themselves the Eden’s Gate. The game has a riveting story, a formidable villain, and a stunning map, all of which make it a worthwhile purchase. However, if you’ve played any Far Cry game since Far Cry 3, don’t expect Far Cry 5 to feel any different when it comes to the gameplay, because it isn’t. Hunt down and dispose off the seven deadly sins as Fury, an unpredictable and enigmatic member of the Four Horsemen in Darksiders 3. The hack and slash action-adventure title puts you in the shoes of a mage who relies on her whip to strike a balance between good and evil on Earth. While I’m not a huge fan of hack and slash games, as they get too boring too quick, I was mesmerized by the post-apocalyptic environments of the game which kept me going. Darksiders 3 is a must try for anyone who’s played the previous games in the franchise before and also for those who just enjoy hack and slash titles. Step in the shoes of Agent 47, a ruthless, cold-blooded hitman who will go to all extents to complete his mission and take down his targets. Hitman 2 takes you on multiple quests around the world in which you have to find creative (and stealthy) ways to take down high-profile targets. Fans of the Hitman franchise will surely enjoy Hitman 2 because the game’s improved graphics really take the experience up a notch and those who haven’t played any Hitman games before should definitely try it out to experience how frustrating it can be to be a contract killer. Aching to play a good game with your best bud? A Way Out is a great co-op only adventure in which you and your friend will play as Leo and Vincent, two convicts planning their daring escape out of prison. The game requires players to cooperate with each other, taking on different roles to get their plan into action. The game supports both online co-op and split-screen local co-op, but it doesn’t have a single player option, so you’ll have to depend on someone else to play the game or you won’t be able to complete it. Get in the role of Rico Rodriguez as he takes on the Black Hand, the world’s most powerful army operated by Gabriella Morales in Just Cause 4. The game is set in the fictional nation of Solis, the homeland of the Black Hand where Rodriguez lands in search for answers. The trusty grapple hook is back again with the latest addition to the franchise and it’s even more powerful this time around, including a variety of different attachments that you can unlock as you progress through the game. Even though the game hasn’t been released yet, I couldn’t help myself from including it on the list as it’s definitely going to be epic. Note: Just Cause 4 has finally released, and you can get it right now! Fight for the future of Bohemia, a kingdom in the heart of Europe ravaged by civil war, in which you play as Henry, the son of a blacksmith and the sole survivor of a massacre that burned down an entire village. An open-world RPG, Kingdom Come: Deliverance offers players a story in which they can immerse themselves and get acquainted with life in the times of the Holy Roman Empire. Battle invading forces, charge headfirst into challenging quests and reach a position in which you can make influential choices. If medieval fantasy is your thing, you shouldn’t even think about skipping Kingdom Come: Deliverance. A direct sequel to multi-award-winning RPG Pillars of Eternity, Pillars of Eternity II: Deadfire is a different kind of an RPG that is played from an isometric perspective. The game takes place in the fictional world of Eora, continuing the narrative five years after the events in the previous game. You take the role of a Watcher – a character with the ability to read people’s memories and embark on a journey across the seas, exploring islands along with a crew of select companions. The game also offers a Class based gameplay system, offering three optional sub-classes within each class that add unique skills to the player’s arsenal. Play as Dr. Jonathan Reid, a recently converted ‘vampyr’ who’s going through an internal civil war about having to choose between finding a cure for the flu-struck society of 1900’s London or give in to his new found powers and feed on those he set out to cure. In Vampyr, a great importance is given to the player’s choice, with their actions having significant repercussions on the future of the suffering capital. So make sure you choose wisely, or you might turn the city into a feral mess. Definitely check out Vampyr for its unique approach to the way it handles the concept of vampyrs by carefully intertwining them with events in history. Vmpyr is definitely one of the best PC games for fans of, well, vampire games. If you’re a fan of roguelites, one of the best PC games you can check out is Moonlighter. Moonlighter is a great game to pick up if you’re into dungeon crawlers. You play as Will, an adventurous shopkeeper who has to tend to his shopkeeping duties during the day and give in to his fantasies of becoming a hero by night. As a result, you have to juggle both the objectives quite efficiently and play the game in a way that all of your actions are mutually beneficial for both the objectives. For example, you can sell the goods that you collect in dungeons at your shop for a quick profit, investing the gold in better weapons to help you clear dungeons more efficiently. The game’s retro graphics might not be a match for some of the other titles on the list, but that doesn’t mean the game doesn’t have enough to offer in other aspects. Sid Meyer’s Civilization franchise offers one of the best turn-based strategy lineup that you’ll ever come across, with each new game featuring just enough to keep fans coming back for more. Civilization VI: Rise and Fall is no different, offering players a new Governor system, eight new civilizations with nine new leaders, eight new world wonders and a variety of new units, districts, building and improvements. Civilization VI: Rise and Fall might just be an expansion for the original game, but it offers enough in terms of content to make its way to this list. If you’re looking for the best PC games that are about trading cards, you should definitely check out Valve’s Artifact – a refreshing new take on trading card games offering deeper gameplay and a high-quality graphical experience, something you don’t really expect from trading card games. The game makes use of DOTA 2’s rich setting, which will not only appeal to DOTA 2 players, but will also give new players a detailed background of each card on their deck, another thing that’s not all that common with trading card games. Another great retro-looking game on this list is Into the Breach – a challenging strategy title in which you have to protect human civilization using powerful mechs. 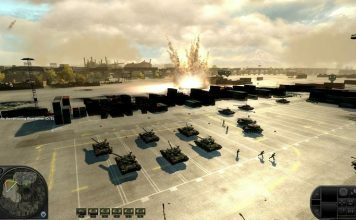 The turn-based gameplay allows players to thoroughly think through each and every move, by observing the enemy’s moves and delivering the perfect counter each time. Be careful of your moves, however, because once you’re defeated you’ll have to start afresh, something that makes the game even more challenging. Like the concept of massive, weapon wielding mechs but don’t want to be restricted to retro-style graphics? Then you should check out BattleTech, another strategy game in which you take command of your own mercenary outfit of mech suits and mech warriors to fight in a brutal interstellar civil war. The game features over 30 different BattleMechs that you can deploy and make use of terrain, positioning, weapon selection and special abilities, to take down your opponents. State of Decay 2 is another great sequel that was released this year, challenging players to survive in an open world ravaged by a zombie apocalypse. Unlike other zombie apocalypse related games that you might have seen before, State of Decay 2 is not all about mowing down the undead. Instead, the game also requires you to survive the zombie apocalypse by setting up a stronghold and it even allows you to play as several different characters, all of whom have different qualities, in the same storyline. Ever thought what it would be like to live on Mars? Well, you can do just that on Surviving Mars – a strategy-based survival game in which you have to manage a colony on the red planet and keep your colonists alive by carefully managing the supplies. One misstep could jeopardize the fate of your colony, so be careful because even though you’ve received decades of training, Mars can pose some challenges that might be too difficult to overcome. You’re the ruler of the last city on Earth and the fate of humanity rests on your shoulders. Efficiently manage both the citizens and the infrastructure of your city and overcome any challenges to ensure your society’s survival. 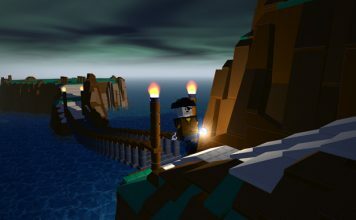 The game offers several different game modes to choose from, randomized frostlands in which you have to build your city, and a couple of different maps to choose from. What’s really great is that the game constantly receives new content via regular updates, so that you’ll never run out of stuff to do in-game. Subnautica is a unique survival game which sets itself apart from other games in this genre by dropping the player in a vast expanse of water on an alien world. You’ll have to craft equipment, pilot submarines to explore the depth and tackle the wildlife in order to survive each day. I personally like the game because it has some stunning visuals that make underwater exploration an absolute treat. But don’t let the silence of the ocean lull you into a sense of safety, because as night falls, the predators come out to hunt. EA releases a new FIFA game each year and this year was no different. The latest game in the FIFA lineup – FIFA 19 – brings a ton of gameplay innovations which are aimed at making the game more realistic than it has been ever before. Passing is a lot less automatic, player stats mean a lot less (compared to FIFA 18), and the game now has a higher skill cap, meaning scoring goals won’t be as easy as running past the defenders and taking a shot. If you’re into football games, FIFA is one you can’t miss out on. The Pro Evolution Soccer franchise, or PES as it’s commonly referred to, is the biggest FIFA competitor in the market and, as such, it also received an update this year. PES 2019 brings a larger selection of licensed leagues, 11 new skill traits for players, an updated Myclub feature to sign players to your own club, 4K HDR support, and a manager mode with changes to ICC pre-season, an in-depth transfer system and new league licenses. One of the best racing games to have been released this year, Forza Horizon 4 offers players stunning graphics, amazing sound design, a vast variety of vehicles and an extensive career mode that offers its own unique customizations to keep you hooked. What’s really great about Forza Horizon 4, however, is that it offers players new content every week, including an impressive season change and new season-specific challenges. If bike racing is more up your alley, then you should definitely check out Ride 3, a great racing game that offers users around 230 bikes and 30 different tracks to choose from. The bikes range from old time vintage riders to modern cafe racers, while the tracks range from the popular North West 200 to the Nordscheleife via Outlon Park and Sugo, all of which have their own set of challenges. The World of Warcraft franchise needs no introduction, it’s arguably the best MMORPG experience you can play and the latest expansion – World of Warcraft: Battle for Azeroth – is a stunning addition to the franchise. The high-seas expansion for the World of Warcraft universe is full of pirates, dinosaurs and larger-than-life monsters. Both the Horde and the Alliance receive their own separate continents to level up on, with the new level cap increased to 120. Battle for Azeroth is a compelling sequel to Legion, and if you haven’t played Warcraft before, right now would be a good time to start. Call of Duty: Black Ops 4’s lack of a single player campaign might be a disappointment for some fans of the franchise, but this year’s iteration of the game brings with it other multiplayer game modes that surely make it a perfect fit on this list. The game packs three stunning new maps, a new battle royale mode and a fleshed out zombie mode, which will definitely keep you occupied for far longer than a single player campaign ever would. If you’re a fan of games like PUBG and Fortnite Battle Royale, then Call of Duty: Black Ops 4 should be on your radar. Looking for an authentic pirate experience? Then you should definitely check out Sea of Thieves, which offers everything from full-scale sailing to expansive multiplayer battles in which you and your crew have to take down the enemy’s ship or risk losing your own. Since the game has no set roles, you’ll also get the freedom to approach the world and other players as you see fit, adding to the variety of things you can do in the game. Sea of Thieves is a must try for anyone who wants to experience a pirate’s tumultuous life, Krakens included. Quake Champions is a fast-paced multiplayer shooting game which reinvents the multiplayer mode of Quake III Arena, adding unique champions into the mix. The game retains Quake’s signature rocket jumping and skill-based competition, with a new roster of elite champions all of which have unique attributes and abilities that you can choose according to your playstyle. Quake Champions also features a variety of different modes, including Deathmatch, Team Deathmatch, a competitive 1v1 duel mode and a new team-based mode called Sacrifice. Do note that the game is currently in a pre-release early access stage, so you might encounter some bugs and glitches. Even though Fallout 76 didn’t receive any rave reviews from players and critics alike, my love for the franchise compelled me to include it on the list. Fallout 76 is an online prequel in which each and every survivor that you encounter in the wasteland is a real person. You can choose to play however you like, either making friends along the way and exploring the wasteland together or going solo in the largest world ever created for a Fallout game. Fallout 76 might not be one the best PC games for some, but it definitely is one for me as I really enjoy the experience it offers, admittedly more than the actual gameplay. Dragon Ball FighterZ is undoubtedly one of the best arcade-style fighting games released this year, offering fans of the Dragon Ball franchise the opportunity to play as their favorite character in a three-on-three 2D fighting game. The game’s mechanics are quite simple to pick up, with no complicated special move commands, but Dragon Ball FighterZ is hard to master because you have to control three characters at the same time. Combined with the stunning visuals, the fights look just epic and the game is definitely worth buying (the game isn’t officially available in India, but you can buy retail copies on most e-commerce platforms). Finally, the last game on this list is an exciting puzzle game called Return of the Obra Dinn which has received accolades by both players and critics. The game is a first-person mystery adventure which requires you to solve complex puzzles with clues collected from exploration and logical deduction. You play as an insurance investigator for the East India Company’s London office, who has to investigate the disappearance, and subsequent reappearance, of Obra Dinn – a merchant ship with over 200 tons of trade goods that got lost at sea and reappeared with no signs of a crew. Now that you’ve gone through the list of the best PC games of 2018, which one do you think you’re going to try out first? I’ve tried out a couple of different games from the list and World of Warcraft: Battle for Azeroth, Far Cry 5, Assassin’s Creed Odyssey, FIFA 19 and Hitman 2 are some of my personal favorites. If you’re a fan of MMORPGs or just want to experience what it’s like playing along with thousands of other players from around the world, then you should definitely consider checking out World of Warcraft, it’s one of the best MMORPGs that I’ve played till date and definitely one of the best PC games ever.